Description: SELLING THIS RIFLE FOR THE ESTATE OF MY GOOD FRIEND AND GUNSMITH. HE ALWAYS TOOK CARE OF HIS GUNS AND MADE SURE THEY OPERATED SMOOTHLY AND AT MAXIMUM ACCURACY. THIS WAS HIS PREFERRED HUNTING RIFLE. 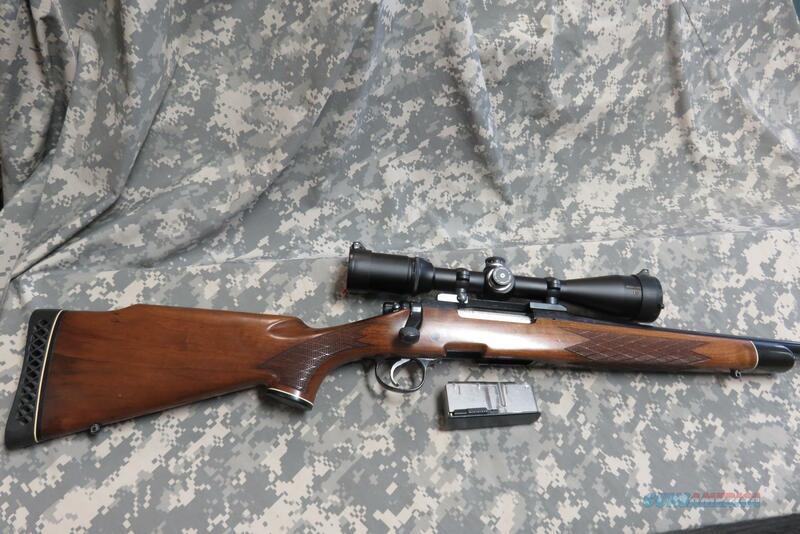 IT IS A BEAUTIFUL REMINGTON BDL-DM IN 270. IT HAS A 22" BARREL, BLUED FINISH WITH SCROLL ENGRAVING ON THE RECEIVER AND AN AMERICAN WALNUT STOCK WITH CHEEK PIECE, EBONY FOREND CAP AND RUBBER RECOIL PAD. IT HAS HAD A TIMNEY TRIGGER INSTALLED AND I BELIEVE IT WAS GLASS BEDDED AND FREE FLOATED. THE ONE PIECE BASE IS REDFIELD AND THE RINGS ARE LEUPOLD. THE SCOPE IS A NIKON MONARCH 4.5-14X40MM. THE GUN COMES WITH ONE ORIGINAL MAGAZINE WHICH HOLDS 3 OR 4 ROUNDS.THIS RIFLE IS IN PRISTINE CONDITION AND READY FOR THE DEER WOODS. ADD 3% FOR CC....NO AMX. ALSO TAKE BANK CHECKS, MONEY ORDERS AND PERSONAL CHECKS. CHECK MUST CLEAR BEFORE SHIPPING. WILL SHIP IN A NEW PADDED HARD CASE FOR ADDITIONAL $22.